When there’s a chance of winning a cruise on Holland America’s new cruise ship we’re going to make sure all Cruise Hive readers know about it! The cruise line is running sets sail sweepstakes for Nieuw Statendam which is joining the fleet in December 2018. Holland America Line is running sweepstakes through June 15, 2018, and there is a chance to win a 7-day cruise on the newest ship coming at the end of this year. The free cruise will be for two guests and take place in 2019.
if you do want to take part then you can head over to halnieuwstatendamsweeps.com where you will fill out an entry form. The cruise line is also providing an extra way to win if you also share on Facebook or Twitter. The winner will be announced on June 30, 2018. 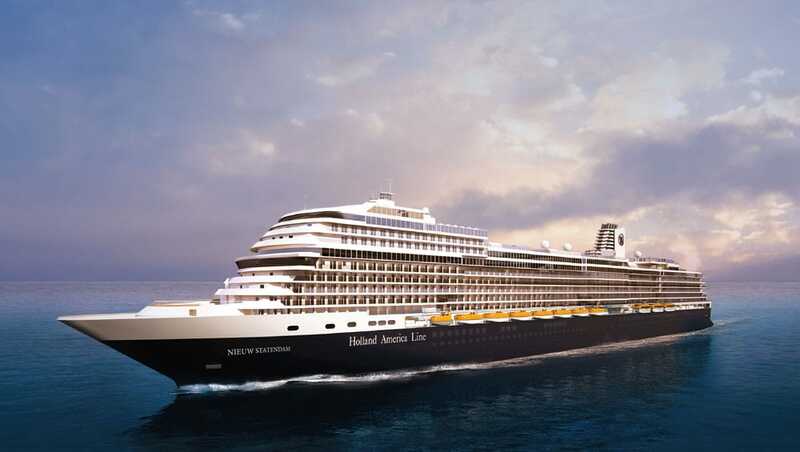 So the winner will have a grand prize of a 7-day cruise on Holland America’s newest cruise ship and second Pinnacle-class vessel Nieuw Statendam. The cruise will take place in 2019 in the Caribbean or Europe and the lucky two will be in a verandah stateroom. There are terms and conditions which should be checked first as the sweepstakes is only for those in the United States, the District of Columbia and Canada (excluding Québec) and for 21 years or older. The new ship is currently in the final stages of construction in Italy by Fincantieri. The 99,500 gross ton vessel will be the sister ship to ms Koningsdam carrying over 2,600 guests. Once in service Nieuw Statendam be offering roundtrip Inaugural Caribbean cruises from Fort Lauderdale, Florida, through April. During the summer and fall season, the ship will sail in Europe and then reposition back to the Caribbean in October 2019.